Giggle Safari Prop Mat is rated 5.0 out of 5 by 1. 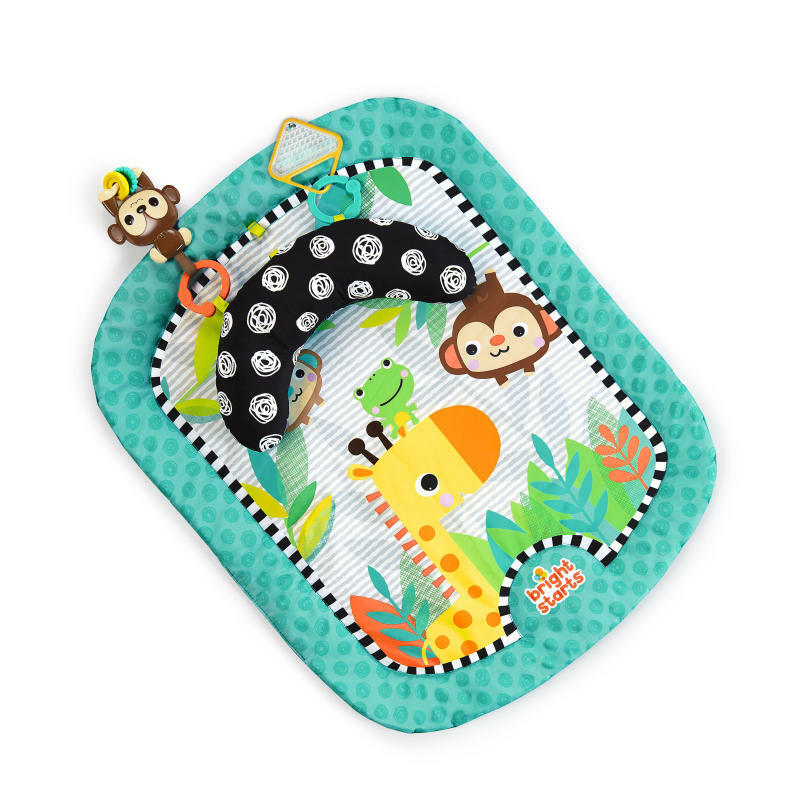 Wiggle, kick and play on the Giggle Safari™ Prop Mat from Bright Starts™! The removable prop-up pillow is just the right size for your baby in this sweet safari scene! The bright, colorful bead chaser, 2 FunLinks™, and geometric rattle are sure to keep baby smiling! This cushioned play mat and pillow keep baby comfortable. Cheerful characters and fun toys will help your baby get the most out of tummy time. Geometric rattle and cute monkey bead chaser to keep little hands busy. Rated 5 out of 5 by arin ka from Great Product I love this product. Very easy for my kid to play with and he enjoys this everyday.